What is GPU Caps Viewer ? display of OpenCL API support and extensions. 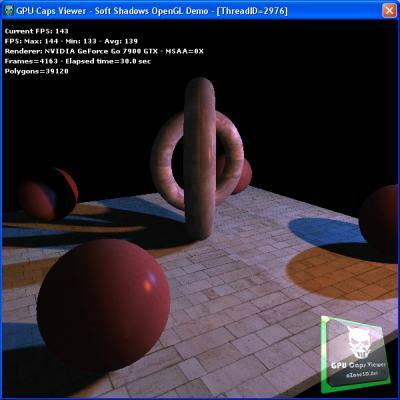 display of the OpenGL extensions supported by your graphics card or display of all existing OpenGL extensions no matter what graphics card you have. 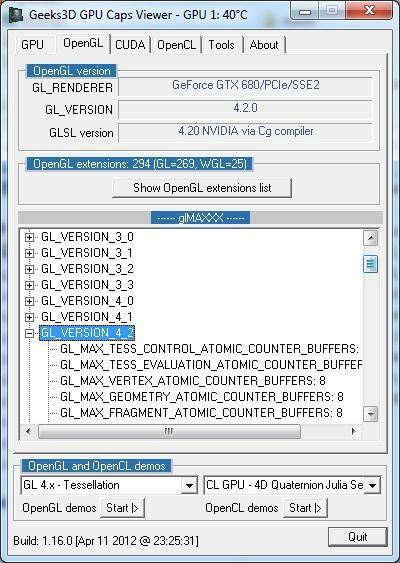 For each extension, you can open its description webpage available at the OpenGL Extension Registry or at NVIDIA's OpenGL Extensions spec. Very handy for graphics developers! GPU Burner or Stability Test: allows to overheat the GPU in order to test the graphics card stability. You can start several stress test demos in the same time in order to make your graphics card working to the maximum. list of links related to your graphics card: graphics drivers and graphics cards reviews. These links are regularly updated. full report in text and XML format. This kind of report is useful for developers who needs an outline of the customer graphics system (for support purposes for example). 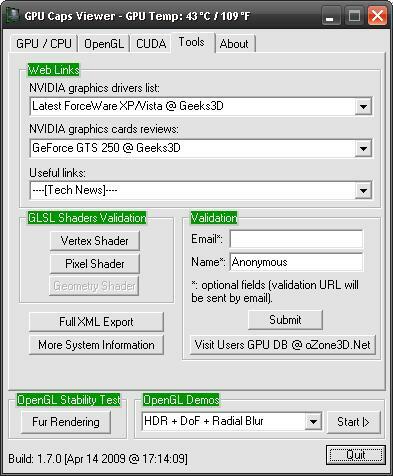 graphics card validation: your graphics card data is sent to oZone3D.Net server and in return you receive a link on the validation web page. You can use that validation in benchmarks or to help graphics applications developers to solve specific problems. See this page for further explanation. The detail of an OpenGL extension. 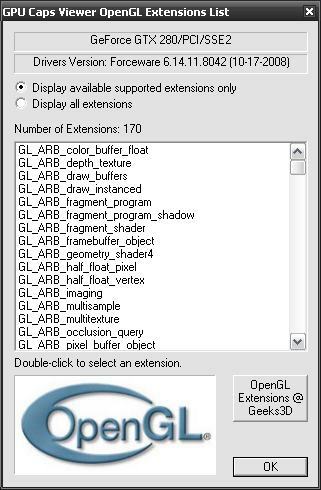 You can jump directly to the extension page at the OpenGL Extension Registry. Full report. You have the possibilty to export the report to a conveniant XML file. GPU Stress Test - Fur Demo - Useful to heat up the GPU as hell! For gpu-overclockers. 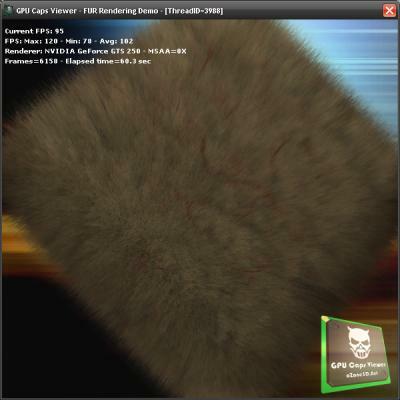 RivaTuner Monitoring: on a GeForce GTX 280, the temperature went up from 50�C (idle) to 90�C using the Fur Stress Test! Change: added Catalyst 8.1 to database. Bugfix: crash when graphics card was not recognized (some non-NVIDIA/ATI cards such as Intel, SiS, XGI, ...). 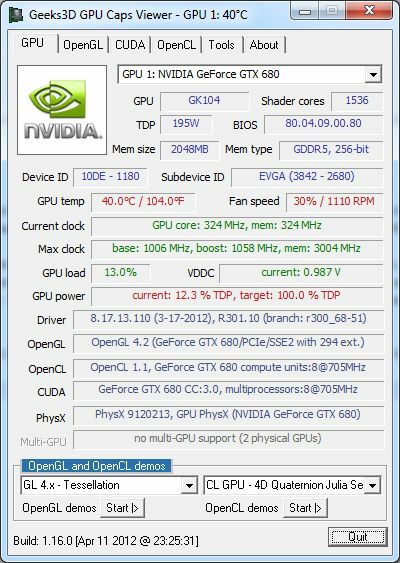 New: added graphics card validation in Tool panel. 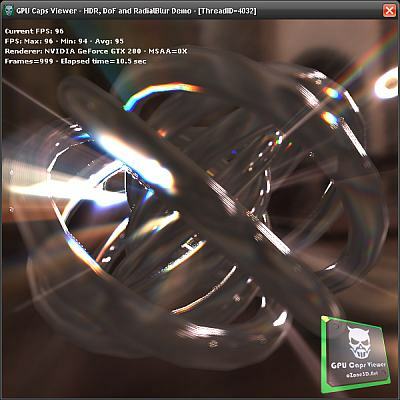 New: added new OpenGL demo with HDR and DoF. New: added MSAA selection for each OpenGL stress test demo. 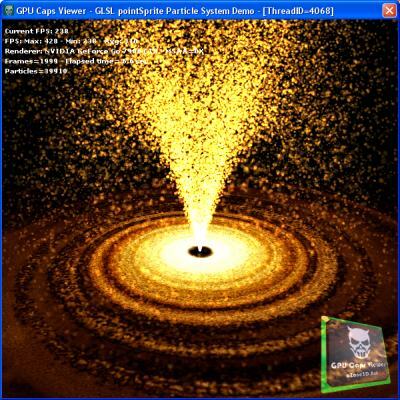 New: GPU core temperature in degrees Celcius and Fahrenheit. New: added vendor id/device id info in [Main Caps/GPU/CPU] panel. New: new logo designed by Steph3D. New: added file version information. Update: added ForceWare 169.28 and Catalyst 7.12 to database. Change: OpenGL demos selection is now done via a list. Change: [Main Caps/GPU/CPU] tab slightly changed: added OpenGL version and removed NVIDIA specific stuff. Bugfix: the button More System Information in [Tools] panel is now functional. 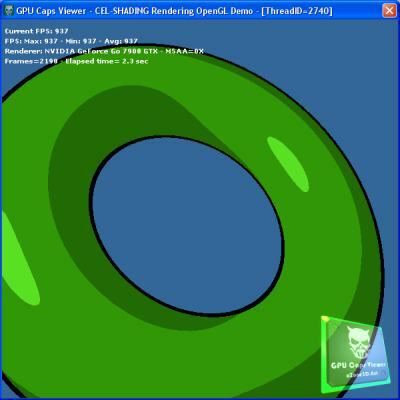 New: added four new OpenGL stress test demos. New: GPU core temperature available for all NVIDIA cards (Geforce 5/6/7/8+) and for ATI Radeon 2k series and up. 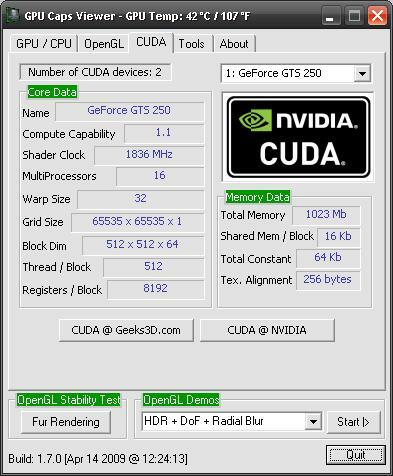 Under Vista, the GPU temp is not displayed for NVIDIA boards due to a bug in Forceware. New: check for new version done at startup. Removed: redondent information in Graphics Adapter /GPU panel (video memory size and drivers version). Removed: GPU ambient and upper limit temperatures (Graphics Adapter /GPU panel). Feature: added new links (reviews, latest forceware and catalyst drivers). Feature: added GLSL shaders validation test in Tools tab. You can test the loading of a vertex or pixel shader written in GLSL. 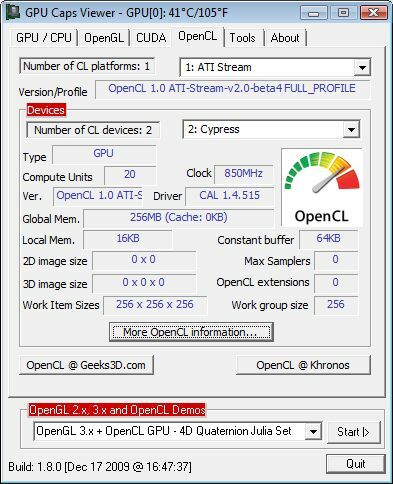 Feature: added AMD/ATI R600 GPU detection . Feature: added number of Multiple Render Targets in "OpenGL Capabilities" tab and in XML report. Feature: added in "System / CPU" tab a new button to get more system information. Feature: added the latest Forceware drivers links in Drivers Links. Feature: added the new reviews (8800 Ultra) in Reviews Links. Changed: GPU Caps Viewer main windows has been reduced to be used with low resolution desktops (1024x768 for exemple). "Tools" group has been transfered to the new "Tools" tab. 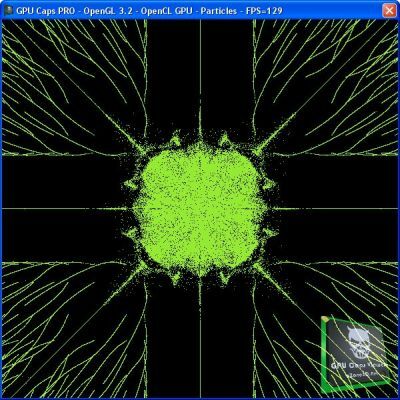 Bugfix: improved gpu codename detection for NVIDIA geforce 7300 series. Bugfix: in the xml report [Graphics Adapter / GPU] section read "Device Description" in place of "Devive Description". Thanks to Michael.L.K for the bug report! 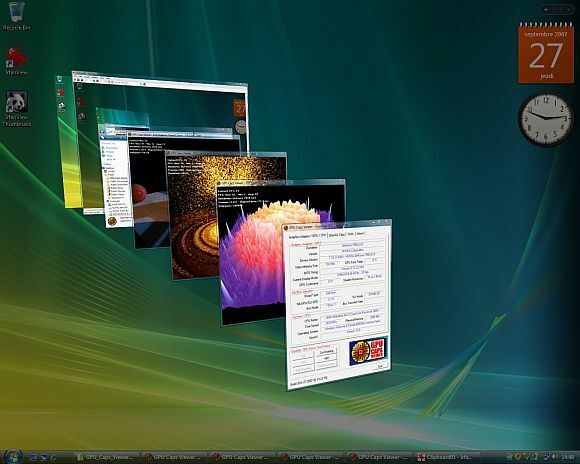 Feature: works now on Windows Vista! Feature: added new NVIDIA and ATI GPUs detection. Feature: added new NVIDIA reviews. Feature: added new ATI reviews. Change: improved GUI (graphical user interface) organization. Feature: added new GPUs detection. Feature: added a checkbox to display all reviews. Feature: news links added to Reviews Links. Feature: news links added to Useful Links. 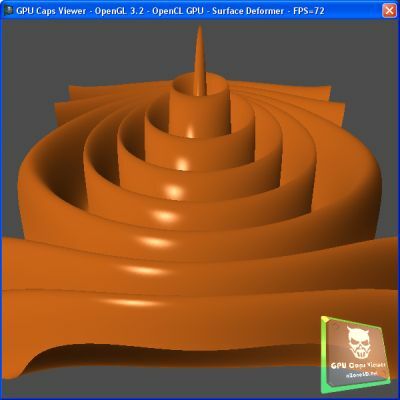 Feature: news OpenGL GL_EXT extensions added. 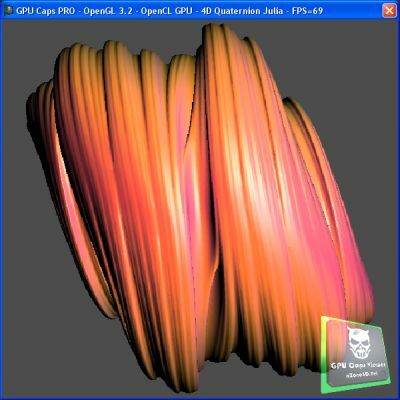 Bugfix: management of non-opengl 2.0 compliant graphics cards (multitexturing, vbo, glsl...). Non-OpenGL 2.0 video cards made GPU Caps Viewer to crash! 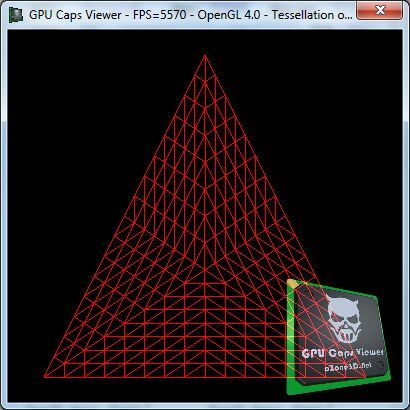 Now GPU Caps Viewer works fine even on an OpenGL 1.1 video card. 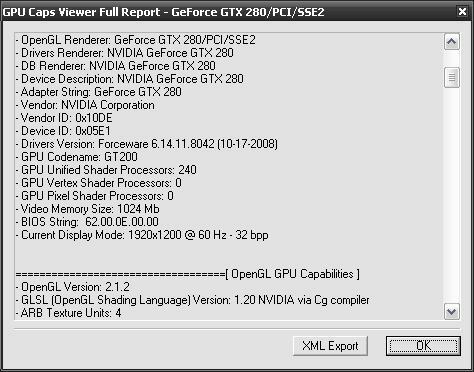 OpenGL 1.1 means no graphics drivers! Thanks to Riccardo aka '.XtC.' for his countless tests! Bugfix: GPU Codename field was incorrect in case of unknown GPU. Bugfix: minor dialog box control bugs. Feature: added Catalyst 7.2 links to Drivers list box. Feature: added old graphics card reviews (9600, X800, 5800, 6200, ... ) to Reviews list box. Page generated in 0.003122091293335 seconds.